We raised anchor at 8am and didn’t have any problems ourselves. Phil raised the main sail while we were in the harbor, the head sail rolled out at 825am and the iron monster was silenced at 833am. The winds died as predicted, so we were able to sail for only about an hour. During that hour though, we had to fall off as going to Long Beach was too up wind, so we changed course to go to Montauk on the north side of the south shore of Long Island. Phil was at the helm as we entered the narrow channel. It was difficult to tell where the channel was to enter Lake Montauk from all the clutter on the GPS. There was another dark blue sailboat aground, and we went way to port of them, but quickly realized that this was the wrong way, went aground, backed up and turned around entering the right channel. Quickly we were in 7-8ft of water and anchored away from everyone else by 1pm. If you look closely at the chart, you can see the dashed brown tracking line that shows you where we hit bottom. Look for the green square 2. This is a nice place, but also popular with the power boats pulling water skiers and inner tubes. We bounced quite a bit until dusk where we had another great sunset. Am I boring you with the sunsets? (Grin) We fixed potatoes, broccoli and brats cooked on the grill. When we cook on the grill, I fix up the foil packets and Phil does the cooking on the grill. We are on our last 1lb propane canister so will get more when in Greenport we hope. 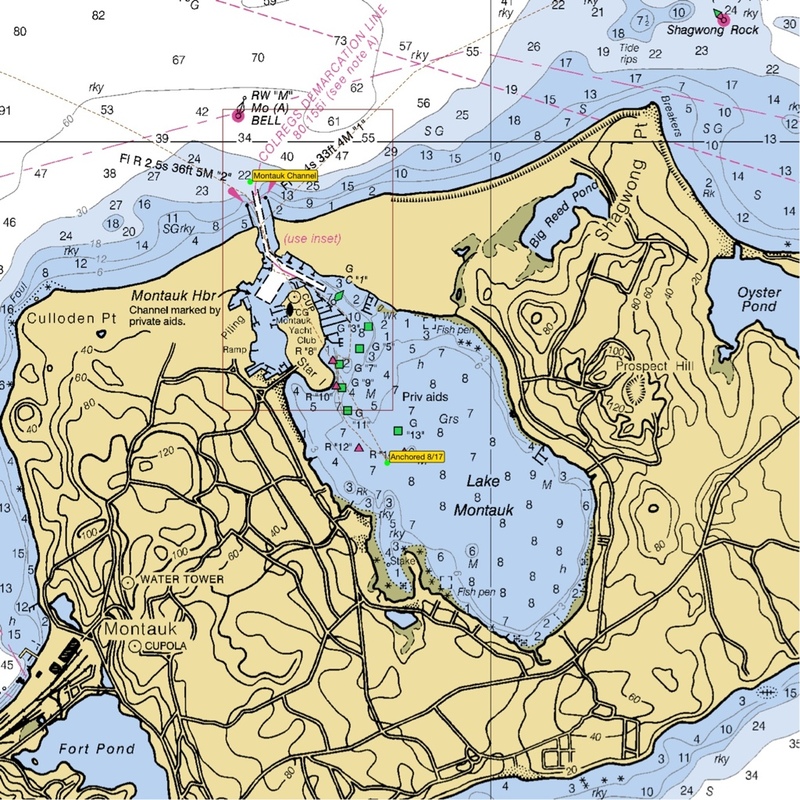 Tomorrow we are planning on going to Long Beach to see the seashells, then somewhere close to Shelter Island to anchor. 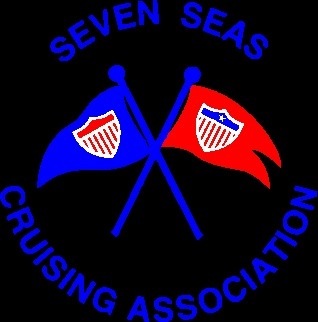 We hope to visit our friends from M/V China Doll before visiting Mike Acebo in Greenport. 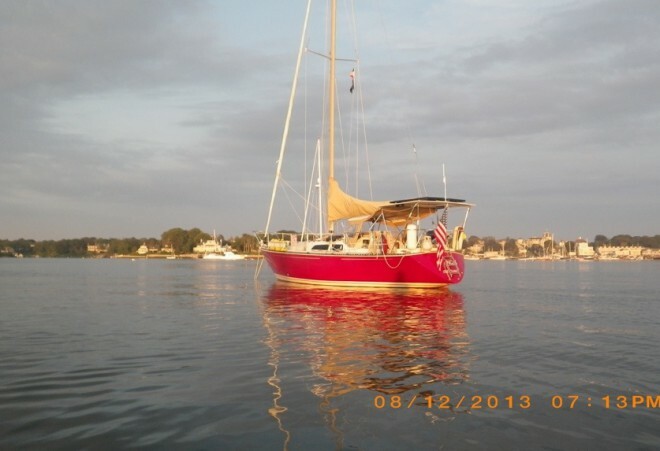 This entry was posted in 2013, anchorages, Long Island Sound, New York, United States and tagged Layovers. Bookmark the permalink. We figure that’s the way it goes. Yes, I saw a dried intact horseshoe crab, but saw a sign that indicated that couldn’t take items, so left it. Really no room to keep it on the boat anyway.